The New Hampshire chapter of Native Fish Coalition has formally responded to New Hampshire Fish and Game regarding their refusal to allow volunteer-sponsored signage on the states Wild Trout Management Waters. Click here to read. Make no mistake about it, the states only formal "wild trout" management program is at best badly stalled out, and at worst at risk of being watered down or going away. If you care about wild native brook trout in NH this should concern you. 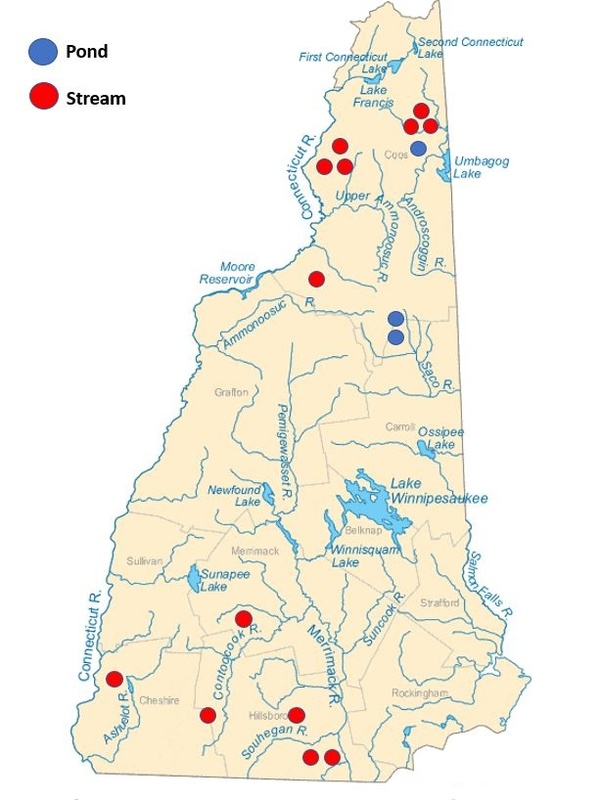 At just 16 waters statewide, 13 streams and 3 ponds, New Hampshire has just 3% as many formally designated wild trout waters as Maine, and roughly 5% as many as New Jersey. And as you can see by the chart above, NH F&G has not added a water to the WTM since 2006, or in 12 years. Meanwhile ME and NJ are adding waters every year. This was a truly unfortunate and telling refusal, and something we are greatly concerned with. Few if any states are as guilty of stocking over wild fish, including nonnative rainbows and browns, than NH. That there are only 16 designated wild trout waters is shameful.